Horizon DataSys today unveiled a new mobile app that delivers the latest company news and its software developments. This new Horizon DataSys (HDS) Forum app gives users a new means of engaging with its online community and its staff even when they’re away from their PCs. This app is available from the App Store on Apple devices and from Google Play for Android devices. Horizon DataSys had in 2013 expanded their customer support channels by extended their business hours, began offering international calling numbers, revamped their IM chat module, overhauled their community forum, added a more responsive support portal, and redoubled their efforts into social media (Facebook, Twitter, Linkedin, Google+, Spiceworks, YouTube, et cetra). One of the most active conversation threads in 2013 on the community forum was the discussion on how RollBack Rx has proven to be the most effective Cryptolocker ransomware removal utility available today. Horizon DataSys learned of RollBack’s ability to prevent Cryptolocker infections directly from its online users. These new engagement channels are a direct response to the increased volume of inquiries associated with the latest releases of RollBack Rx and Drive Vaccine updated to work with Microsoft Surface Pro and Windows 8.1. Horizon DataSys' flagship product RollBack Rx v10.2 is quickly becoming an indispensable add-on tool for Windows 8 systems. RollBack Rx completely integrates with Windows to allow for the fastest and most reliable backup and recovery software available today. RollBack Rx ("the instant PC time-machine") replaces Windows System Restore (and also Windows 8's Refresh and Reset options) with a more robust recovery capability. It empowers users to create super-fast backups (or “snapshots”) of their entire system and to effect a complete harddrive restoration back to any one of these thousands of snapshots or just data recovery of specific files or folders. RollBack Rx is also a much more efficient system restore solution than Windows built-in System Restore since it allows for more, each snapshot uses less than 1% of the harddisk capacity, and allows users to determine the system resources used and the frequency of the snapshot-taking. Drive Vaccine v10.2, the leading non-restrictive technology for education, is designed to simplify the management of public access computers with multiple users by auto-restoring these machines back to an IT administrator-defined pristine state (or "baseline"). Drive Vaccine seamlessly returns these public access computers back to the baseline settings once one user has ended their session so that the next user is presented with a fresh baseline. Returning to this baseline discards all unwanted user changes: including erased files, installed software, infections (viruses, spyware, cookies, adware, etc. ), and altered icons. But Drive Vaccine also offers unique industry-leading capabilities to retain desired changes by allowing network admins to update this pre-set baseline to incorporate the latest Windows and program updates without having to turn the protection "off" and by permitting the restoration of an earlier baseline in case of an undesired baseline update. Drive Vaccine is the ideal alternative for Windows SteadyState. This technology is being used in an increasing number of schools, libraries, airports, hotels, community centers, museums, kiosk stands, conference centers, and other shared computing environments. Lyle Patel, the President, explained that Horizon DataSys' objective has always been to offer its customers the tools they need to maximize the availability of their resources and to streamline their IT operations. Ensuring that clients get their endpoint systems and servers back up and running quickly after any PC-related problems. Patel also noted that, "This also means that if there's any issue with our own software we don’t want to be the bottleneck in your streamlined IT operations. So we’ve committed ourselves to respect our customers' valuable time by reducing the turn-over times from when a servicedesk ticket is submitted to us and our techs have successfully resolved it to your satisfaction." Jester Santos, Customer Service Manager, added that, "Our goal for 2014 is to be more accessible. Some people don't like making phone calls, some prefer to chat using IM, and others email, and so forth. We want to accommodate their preferred method of contact. They can even send us snail mail if they like." And a key part of this envisioned better user experience is the shortest possible ticket turnover times for customer service, sales, and technical support requests. According to Santos, the main objective for the coming year is to offer seamless engagement with customers by facilitating a multi-channel communication platform through chats, email, webinars, phone conversations, blogs, forums, and so forth. We strive to exceed customer expectations in quality, delivery, reliability, and service as we build a productive relationship based on exceptional customer satisfaction. The new Horizon DataSys (HDS) Community Forum mobile app should allow customers to keep up with the latest news and developments. Customers can even submit questions to the Horizon DataSys Community and should get a response back that they can receive on their smart phones. Horizon DataSys Corporation is a privately held software company headquartered in Blaine, Washington which develops, publishes, and distributes branded computer software applications specializing in end-point PC management, OS integrity, and instant restore. The new Masterflex® L/S® Digital Modular Dispensing Drives from Cole-Parmer offer three dispensing modes and precision motors for accurate, repetitive dispensing. With a modular format that allows users to place the motor and controller separately, these units are an optimal choice for limited spaces, hoods, or isolation chambers. These peristaltic pump drives feature a programmable dispense interval that lets users set the delay between dispense cycles for convenient, automated dispensing by time or by volume. An antidrip function ensures dispensing accuracy. Precise PWM speed control (±0.1%) maximizes accuracy and efficiency while the brushless motor provides quiet, maintenance-free reliability. Programmed calibration ensures dispense and display accuracy—the drive stores one calibration value per tubing size. Program the drive via the simple membrane keypad or control all functions remotely; a keypad lock/unlock feature protects settings. A graphical LCD indicates four operating modes for continuous run, timed dispense, copy dispense, and volume dispense. Choose from the modular drive with a benchtop controller or the washdown modular drive with wall-mount controller. The benchtop model includes a splash-resistant ABS plastic controller housing that is IP33 rated. The wall-mount controller housing is powder-coated aluminum with a powder-coated steel drive housing; both are IP66/NEMA 4X-rated for washdown. For more information on the new Masterflex® L/S® Digital Modular Dispensing Drives from Cole-Parmer, call 800-323-4340 or go to ColeParmer.com/20545. Cole-Parmer has been a leading global source of laboratory and industrial fluid handling products, instrumentation, equipment, and supplies since 1955. Our product lines, including popular brand names such as Masterflex®, Oakton®, and more, are sold through company-owned customer channel outlets and a strong network of international dealers. We also feature an ISO-17025-accredited metrology lab for instrument calibration and repair. Cole-Parmer responds with excellence to customer needs, and offers application expertise and technical support. For more information, contact Cole-Parmer, 625 East Bunker Court, Vernon Hills, IL 60061. In the US, call 800-323-4340. International customers, call 847-549-7600. Visit us at ColeParmer.com. Recently, Os-monitor.com, the company specializing in developing the employee monitoring software, has updated its Employee Monitoring Software which now includes enhanced features and controls for recording employee activity and hence increasing productivity and efficiency. OsMonitor has a range of features that enable the employers to fully monitor employee activity. The software can tell whether employees are carrying out the tasks assigned to them, it also keeps a check on emails sent from employee computers, and with this program the employers may as well install varying degrees of restrictions on employees computer systems. This way employees stay focused on their work alone rather than wasting time and resources on useless websites and activities that bring loss to the organization. Another important risk that can be reduced with OsMonitor is the risk of any security breach; when employees are restricted from downloading and installing whatever useless programs they want, the risk of any external security breach is minimized. With updated OsMonitor, employers can now keep a better check on employees activities. The company can keep a detailed track of emails sent, website visited and data transfer too. Hence, a complete analysis of every employee can be made this way. Technology has several perks but it is not without certain disadvantages too; organizations using computer systems connected to internet facility lose billions daily just because employees waste their time on the internet doing whatever they please. Programs like OsMonitor can play a vital role in minimizing such grave losses. When the employee time will be utilized fully, the company will have increased efficiency as well as productivity. Established in the year 2006, Wangya Computer Co., Ltd specializes in developing different kinds of useful monitoring software programs. Operating through its website os-monitor.com, the company has all its development offices based in Asia. NEC India, a leading IT solutions provider has entered into a strategic alliance with Vaultize (http://www.vaultize.com) an enterprise cloud backup and file sharing solution provider, to jointly go to market with Vaultizes enterprise cloud backup, sharing and mobility platform through NECs cloud aggregator platform. This will enable both companies to further penetrate the market and offer a bouquet of services to enterprises. NEC has built a global carrier grade Cloud Aggregation Platform to enable telcos and service providers offer cloud services to small and medium enterprises. As collaboration needs increase, these enterprises are looking for ways to share files more easily, and also store files safely on the Cloud, thus having access to those files, anytime anywhere. Vaultizes file sharing and backup cloud service will integrate into this aggregation platform, thus providing enterprise users with an added service that they need. NEC has had significant success with its Cloud strategy worldwide. Cloud is a global initiative for NEC, and India is one of the focus countries for NECs cloud business. The company is well positioned in the market as a holistic cloud services provider and offering cloud solutions and services that contribute not only to the field of IT and networks but also societal, individual and corporate activities. Commenting on the alliance, Angira Agrawal, Associate Vice President, Cloud business, NEC India said, NEC has built a world class Cloud Aggregation Platform, now deployed at over 25 service providers across 14 countries. We are happy to partner with Vaultize and broaden our cloud offering for the enterprise customers. Companies are now empowered with a broad range of choices, and are able to rapidly choose the best options that meet their business needs. With this alliance, we hope to grow our customer base and empower them with greater choices. Commenting on the occasion, Anand Kekre, CEO and Co-founder, Vaultize said, We are pleased to announce this partnership with NEC. Availability of Vaultize on NECs Cloud Aggregation Platform will give us a good opportunity to serve a wider customer base. Built from the ground up with enterprise level security and control, Vaultize is poised to capitalize on the multi-billion dollar market at the intersection of cloud computing, mobility and consumerization of IT. And, this partnership will be a key driver. Vaultizes at-source encryption together with de-duplication helps enterprises adopt cloud based backup and file sharing by eliminating concerns about security, data privacy and compliance. The patent-pending technology secures data even before it leaves endpoints. Cloud computing services have seen an unprecedented growth in recent years across industries. To meet this daunting demand and changing market dynamics, NEC offers a host of cloud solutions and has successfully implemented its cloud computing solutions globally, including carrier cloud solutions for Telefonica in Spain, and secured cloud solution for the Ministry of Education in San Juan, Argentina. About NEC India Pvt. Ltd.
NEC India Pvt. Ltd. established in New Delhi, India, in August 2006, leverages on NEC's unique capabilities in integrating IT and networking technologies for a diverse customer base across governments, businesses, individuals and society in India. NEC India provides and develops solutions for Carrier Network, Unified Communications, Retail, Security and Surveillance Systems, IT, cloud applications and Multimedia Products to cater to the rapidly expanding Indian market. Singapore-based NEC Asia Pacific is the regional headquarters for NEC Corporation (HQ: Japan) in the Asia Pacific region (South and Southeast Asia, and Oceania). As a leading infocomm technology provider and systems integrator offering regional sales and services support and consultancy, NEC APAC develops solutions on carrier network, global identity, RFID, enterprise server, unified communications, multimedia display, and contact centre, as well as provides outsourcing and managed services. To leverage on its technological expertise, NEC APAC has established regional competency centres for public safety and display solutions to expand its capabilities and expertise to support businesses in the Asia Pacific region. In line with the NEC Group Vision to realize an information society friendly to humans and the earth, NEC embarks on corporate social responsibilities initiatives to support the Nature (environment), Education and Community. For more information, please visit http://www.nec.com.sg. Vaultize (http://www.vaultize.com) is an enterprise-grade backup, sharing and mobility solution provider. Vaultize the first solution to do both encryption and de-duplication together at source. While all solutions perform encryption at the server, Vaultize encrypts data at source before it leaves the device making it the most secure backup and file sharing solution in the world. Vaultize has presence in more than 30 countries through its channel network consisting of resellers, distributors, system integrators and MSPs. The game is changing fast, prices are rising and multiple offers are back in the luxury real estate market. How does a Realtor keep up with these changing times? More and more luxury Realtors use technology to get an edge. Ken Lowman, Broker/Owner of Luxury Homes of Las Vegas took time out from his busy day selling luxury homes in Las Vegas to talk about the technology used in his business. For me, it starts with what tools can make me more efficient and valuable to the clients I serve. 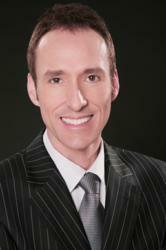 If I can use technology to become more effective then it benefits my clients and I, Lowman remarked. One of his favorite tools today is digital signatures. This allows both luxury home buyers and luxury home sellers to sign their purchase contracts and other related documents digitally on their computer or mobile device without even printing a hard copy. Lowman smiles and notes, This not only saves time, it eliminates missing an initial or signature, plus its good for the environment by eliminating the need to print hard copies. Having real estate contracts online also makes it easy for Realtors to access needed documents from anywhere, whether they happen to be in a clients home, their office or on the go. Mobile devices and applications are the next favorite of Lowman and he commented, The iPhone, the iPad and Siri make us all more efficient luxury Realtors. I do my listing presentation on the iPad now and we can find luxury homes for buyers instantly on the iPad. The iPhone allows us to monitor our communications from any location including emails, texts, social media and phone calls. Siri lets Realtors make verbal commands into their iPhone or iPad that are converted to either text, emails or notes. Lowman also uses speech recognition in his office at his desktop. I use a program called Dragon that allows me to speak and then converts my speech to word documents, emails and even lets me surf the internet with verbal commands. It makes me three times faster! Lowman also uses Microsoft Outlook to manage his daily schedule, his contact management and his large database of luxury home buyers, prospects and past clients. I have been selling luxury homes for 23 years now and it truly is amazing how technology has improved our business and allowed us to be more productive. I cant imagine how I would conduct my business today without technology and I am constantly looking forward to the next innovation, Lowman stated. Ken Lowman, Broker and Owner of Luxury Homes of Las Vegas, has over 23 years of experience in a star studded career specializing in higher-priced, luxury homes. Lowman was recently selected as One of the Most Dependable Luxury Real Estate Professionals of The West by Goldline Research, an independent research firm specializing in evaluating professional service firms. This recognition was published in Forbes Magazine. Because the Southern Nevada luxury real estate market pivots on Ken's home sales, he's perceived as a barometer for the national media and has been featured on "The Today Show," "Fox Business," "Nightline," "EXTRA" and "Inside Edition." Luxury Homes of Las Vegas is located at 7854 W. Sahara Ave., Ste. 100, Las Vegas, NV 89117. For more information, call 702-216-HOME (4663) or 866-210-7620 or visit http://www.luxuryhomesoflasvegas.com. Scannx, a leading developer of cloud-based, document capture and document delivery software and services, announced today that it has developed a software connector for scanning from its book scanning systems to OCLCs Article Exchange document delivery site for completing interlibrary loan requests. Article Exchange is accessible from within WorldCat Resource Sharing and via an ILLiad add-on. Since its release in January 2012, nearly 600 libraries in 16 countries have used the tool, resulting in uploads of more than 20,000 documents each month. This cooperative development effort means that academic research and collaboration tools are getting faster, better and cheaper. Demonstrations will be held at the American Library Association conference on June 22-25 in Anaheim, CA in Scannx booth #727. Attendees who come by the booth for a demo can also register to win an iPad. Scannx and OCLC are dedicated to furthering access to the worlds information while, at the same time, reducing library costs, said John C. Dexter, president and COO of Scannx. 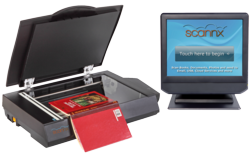 Scannx-powered book scanning systems are replacing the traditional and very expensive overhead book scanners and copiers. The joint effort will help accelerate academic research and collaboration while, at the same time, further promote Green-technology initiatives. OCLC has grown into a worldwide organization in which over 25,000 libraries, archives and museums in 170 countries are members. Their shared cataloging service is among the busiest in the world, delivering access to more than 271 million items available from the WorldCat database. . Cooperative advances have expanded to help libraries better manage workflows, collection management, reference services, resource sharing and digital materials. New Web-scale services amplify library cooperation even further. OCLC has helped fulfill over 9.6 million interlibrary loan requests during the last year through its WorldCat Resource Sharing and ILLiad services. The Article Exchange document-sharing site provides a single, secure location where lending libraries can place requested documents and library users can retrieve articles or book chapters obtained for them via interlibrary loan. This site adds convenience, security and enhanced copyright compliance to article sharing through interlibrary loan. Article Exchange is accessible from within the WorldCat Resource Sharing service. With the integration of Article Exchange into Scannx book scanning systems, library staff can more easily deliver documents to the people who need them in a secure, cloud-based environment. Founded in 1967, OCLC is a nonprofit, membership, computer library service and research organization dedicated to the public purposes of furthering access to the worlds information and reducing library costs. More than 72,000 libraries in 170 countries have used OCLC services to locate, acquire, catalog, lend, preserve and manage library materials. Researchers, students, faculty, scholars, professional librarians and other information seekers use OCLC services to obtain bibliographic, abstract and full-text information when and where they need it. OCLC and its member libraries cooperatively produce and maintain WorldCat, the worlds largest online database for discovery of library resources. Search WorldCat on the Web at http://www.worldcat.org. For more information, visit http://www.oclc.org. Scannx, Scannx Book ScanCenter and Scannx Cloud Services are trademarks of Scannx LLC in the United States and other countries. Scannx patent pending. All other trademarks are the property of their registered owners. Scannx LLC, Pleasanton, CA. 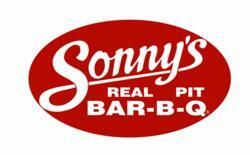 Maitland, Florida-based Sonnys BBQ, with over 120 restaurants in 9 states, has named Synergy Restaurant Consultants as its go-to, think-new team. Synergy will be working on multiple strategies as it seeks to re-energize the Sonnys BBQ brand through new menu items, operational efficiencies and equipment upgrades. We are delighted with this important new assignment, commented Danny Bendas, Managing Partner of the nationally respected consultancy. Once we finished our initial assessment of Sonnys business from the aesthetics to the pragmatics, we have begun to enhance their selection of fresh cooked daily menu items supported by new protein and produce vendors. We are also assisting with the training of Sonnys team members to support their newly upgraded guest experience. Synergy has also initiated a redesign of the menu graphics as well as all elements of the table presentation. Our holistic approach to restaurant brand re-invigoration makes us uniquely qualified to satisfy Sonnys comprehensive initiatives, Bendas concluded. Kids will now have even more gaming choices on Cartoon Network websites. To strengthen its presence in the fast-growing interactive gaming market for kids, Turner Entertainment Networks Asia, Inc (TENA) has appointed the SinoTech Group (SinoTech), a full service interactive agency based in China, to develop and distribute online games on Cartoon Network websites in North Asia. The appointment of SinoTech also marks the Network's first-ever deal with a China-based company to address the advertiser demand in the kids' online media market. The SinoTech Group will be the exclusive interactive advertising sales representative for online media inventory around online games they create specifically for Cartoon Network's websites, and will focus on recruiting new advertisers from the China market. "The partnership with SinoTech Group opens up the Greater China market for our business, and allows marketers targeting kids to conduct brand marketing within a leading kids' branded entertainment website," said Benjamin Grubbs, Regional Director for Interactive, TENA. "Online games have been a key driver of Cartoon Network's online success, with seven of the top 10 most-visited web pages on the Cartoon Network site being related to gaming. Coupled with the increasing penetration of high-speed broadband access in the region and SinoTech's innovative game development strategy, we are confident that Cartoon Network will further increase its web traffic to become the leading online game websites for kids." "We're immensely excited to work with Turner on a deal with such potential. Along with SinoTech Group's own cartoon characters, we will be working on highly recognizable brands like The Powerpuff Girls, BEN 10, and others to develop new games," said Dr. Mathew McDougall, Chief Executive Officer and Executive Chairman of SinoTech Group. The first slate of online games is already in development and will launch on the Cartoon Network Asia and Cartoon Network Taiwan websites before the end of the year. The games will either feature Cartoon Network's original characters, or involve content or characters developed by SinoTech. Launched in the Asia Pacific in 1994, Turner Broadcasting System, Inc.'s (TBS) Cartoon Network, offers the best in animated entertainment. Drawing from the world's largest cartoon library of Warner Bros., MGM and Hanna-Barbera titles, the Network also showcases original series including BEN 10, The Powerpuff Girls and Foster's Home for Imaginary Friends. Cartoon Network is the number one channel for kids in Asia Pacific and is currently seen in over 56 million cable homes in the region. Online, Cartoon Network has eight dedicated country websites created exclusively for kids in Asia Pacific and has logged over 18 million page views in a month. It is a popular virtual hangout place where visitors find detailed information on all their favorite shows and characters, complete programming schedules, popular promotions and interactive games. TBS Inc., a Time Warner company, is a major producer of news and entertainment product around the world and the leading provider of programming for the basic cable industry. The SinoTech Group is China's largest independent full service digital advertising company. Horizon Data Center Solutions has completed the full integration of VMware’s vCloud Director, adding new capabilities to its vStructure enterprise-class Infrastructure as a Service offering. For many existing VMware customers, including those using vSphere, this introduces an entirely new means of deploying, provisioning and managing the capacity of virtual environments. VMware vCloud Director is a software solution at the data center level that makes secure, multi-tenant private clouds available by pooling the infrastructure resources into virtual datacenters that businesses can access through web portals. The software makes it possible for IT organizations to supplement their internal business units with external capacity upon demand from a desktop application. Horizon is a leader in providing virtualized cloud computing technologies to both businesses and government entities. The company is one of just 11 providers of cloud computing services to the GSA, and it is the first cloud computing provider on the Government’s SEWP IV procurement contract. Black says cloud computing helps to reduce costs for hardware and infrastructure and increase efficiencies in the government. In addition to providing government cloud computing, Horizon works with businesses of all sizes, from the small to medium sized business with fluctuating capacity needs to major corporate entities with massive operations. Horizon’s IaaS offering is supported by a network of world class data centers located in Dallas, Texas and Northern Virginia. For more information, contact Horizon at 866.620.7516.